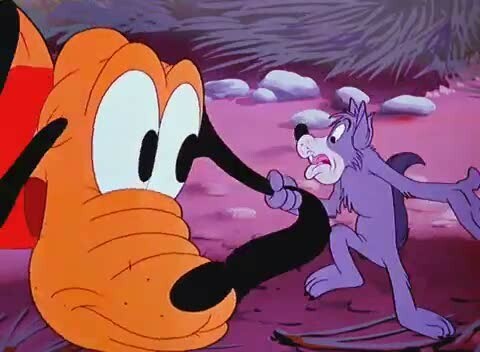 Primitive Pluto (film) Pluto cartoon; released on May 19, 1950. Directed by Charles Nichols. Pluto’s Primitive Instinct, in the form of a little wolf, Primo, convinces Pluto to hunt for food like a wild dog. When Pluto is unable to catch anything, he returns to his food, only to find Primo has eaten it.